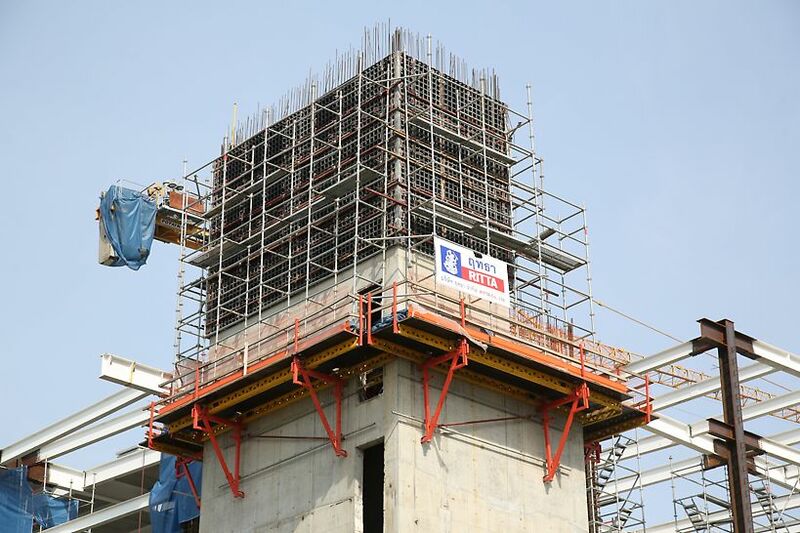 Crane Climbing Liftcore formwork. Efficient and safe slab formwork. Increasing quality and productivity level with engineering support and a good site/material management.